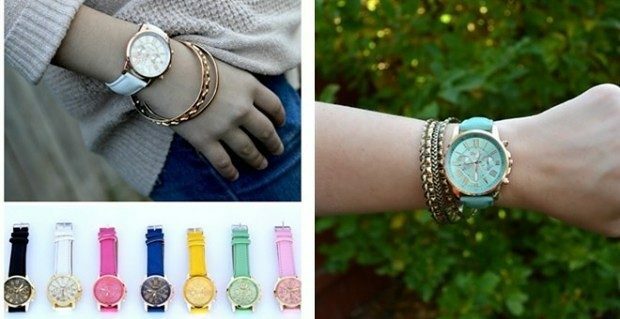 Over-Sized Leather Boyfriend Watch Only $9.98 Shipped At Jane! You are here: Home / Great Deals / Over-Sized Leather Boyfriend Watch Only $9.98 Shipped At Jane! The Over-Sized Leather Boyfriend Watch is Only $9.98 Shipped At Jane! That’s $6.99 for the watch + $2.99 shipping! Now in 7 bold, fantastic shades perfect for Spring and Summer, you can mix and match to go with every outfit. Wear them alone or stacked with your favorite bangles for an instant pop of color, around town or dressed up for a night out!